Share Your Reels With CinemATL! The idea behind Six Reels is straightforward. If you're an actor, cinematographer, director, etc, submit your reel along with a little information about yourself. We'll pick the one's that standout and share those from time to time. 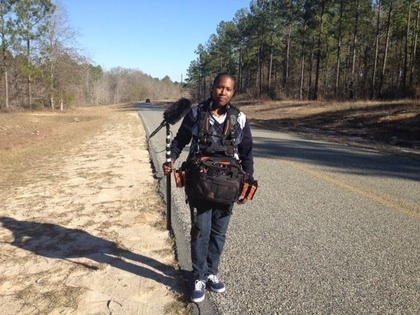 One thing that can be said of filmmaker Kely McClung is that he’s always up for a challenge. Whether that challenge includes globe-trotting from Atlanta to Thailand for his action film Blood Ties or as he does in his latest film Altered attempting to change the perception of audiences very literally. Nicole Hankerson casually sat in the conference room of her Downtown office as she explained how her passion for audio helped to fuel her ambitions to become a successful entrepreneur. While many people her age are just beginning their careers in the industry, the 27-year-old South Carolina native has already built an impressive resume as both a production mixer for the likes of Here Comes Honey Boo Boo and Resurrection, while also founding C.C. Productions 803 LLC, an Atlanta-based audio production house. With services ranging from location and post-sound production, to gear rental and consulting, C.C. Productions has been carving a place in the Atlanta film and television scene since 2010, and is showing no signs of slowing down. The company’s name was derived from the initials of Nicole’s moniker, ‘Coley-Cole’, which was joined together with the ‘803’ South Carolina area code. Nicole and her office manager, Kathy, are the two-woman crew behind this growing operation. The idea for the enterprise was simple-while working her way up as a sound PA on smaller projects and eventually on the feature, Big Momma’s House 2, Nicole noticed that her follow sound professionals would offer money to borrow her gear so that they could work on their own gigs. After seeing the need for an audio rental facility to help keep up with Atlanta’s increasing production schedule, Nicole jumped on the opportunity to be just the person to capitalize on this idea and started the company from her own home. She now rents an impressive selection of professional audio gear to productions across the city. Given the cutthroat nature of the film business, one would assume that Nicole is trying to dominate the niche market that she has carved out for herself, but she is actually a proponent of using collaborative efforts to help build her business and the Atlanta entertainment industry as a whole. Help is exactly what Nicole wants to provide for the Independent film community and she hopes to make C.C. Productions a one-stop shop for any cinematic audio need. In the future they look to expand their post-sound department and provide both the on-set recording and post-production mixing and editing for Indies of various genres. They look forward to meeting filmmakers in all stages of production to see how they can help make Atlanta-based productions sound world-class. Need Music for Your Movie? 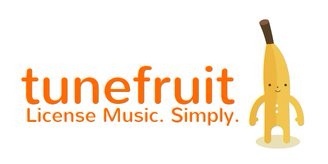 Pick Tunefruit! There needs to be a way to discourage people from including popular music in their initial visions since this often leads to disappointment later, especially when budgets are clearly too small to allow for the purchasing of expensive licenses. Wouldn’t it be a better approach for the sound supervisor to offer an assorted selection of production music for the director to browse through so that he/she has attainable references for the music editor to work with? The set of "The Cell," just outside Olivia Morgan Antiques. "The Cell," a thriller adapted from the Stephen King novel, started filming in East Cobb today near the corner of Lower Roswell Road and Davidson Road. Thanks to stars John Cusack and Samuel L. Jackson, who worked together on another King adaptation, "1408," the set has already provoked notable buzz and a few sightings. Cusack has been seen this week eating at Ritter's and at Sam's BBQ1.